Celebrate Valentine's Day with this color by numbers worksheet. Picture on this coloring activity shows a girl holding a Valentine's Day card. 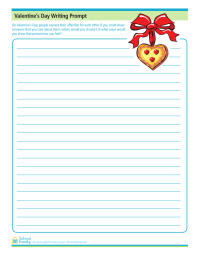 Use this Valentine's Day-themed activity to write about a person you love. How do you show people you care about them? Rearrange each group of letters to find words related to Valentine's Day. 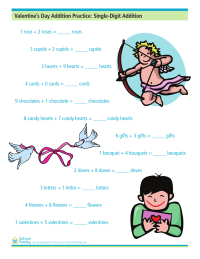 Practice single-digit addition with this Valentine's Day addition practice worksheet. 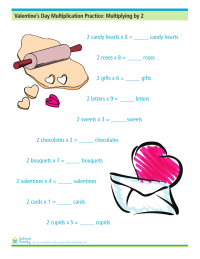 Practice your times tables (the number two) with this Valentine's Day-themed multiplcation worksheet.